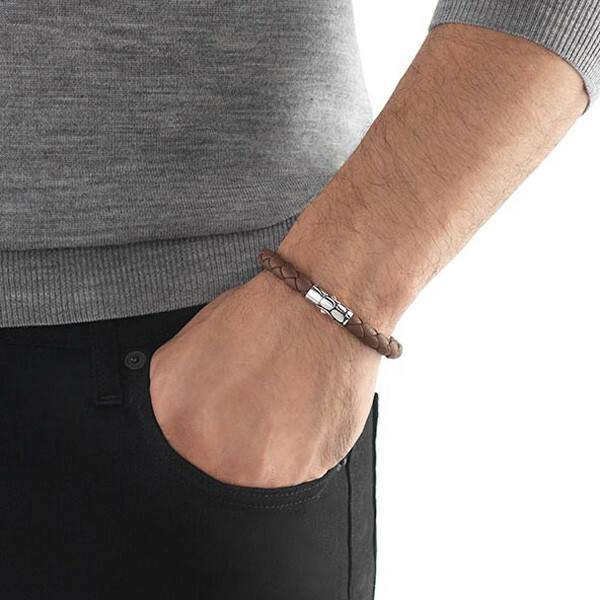 This bracelet from the Kali collection by John Hardy has such a great masculine quality! 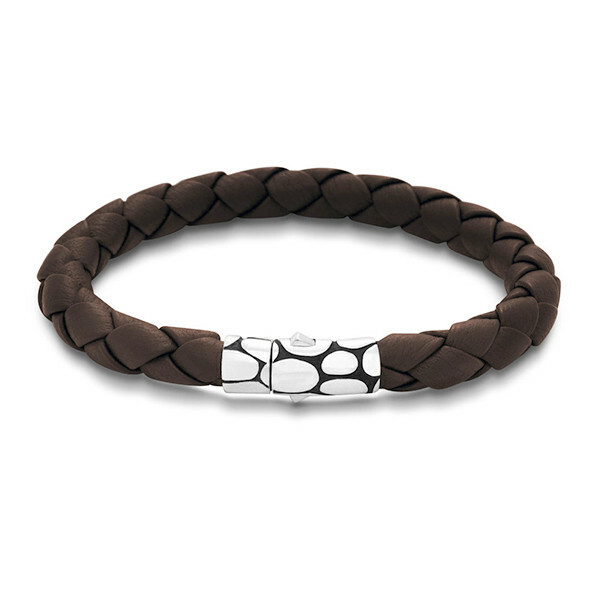 A sterling silver station, decorated with shiny, pebble-like shapes, sits on a woven brown leather cord. This silver station also doubles as a clasp and is perfectly streamlined to be part of the bracelet. Wear this rustic accessory alone or pair it with another piece from the Kali collection.